I have a new love...Crème de cassis. It is a blood-red, sweet, blackcurrant flavored liquor. I still love my Chambord and especially the Raspberry Chambord Sauce but this is a great alternative. This would be wonderful on a variety of desserts: cake, ice cream, brownies, cupcakes, waffles, pancakes...you name it! 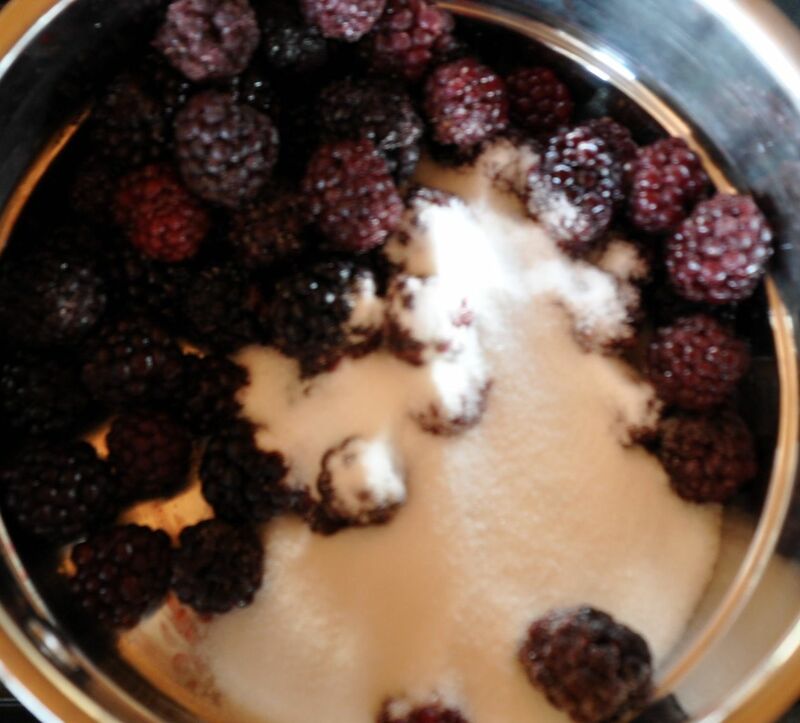 In a pan, mix the blackberries, sugar and lemon juice on medium high heat. Once bubbling, reduce to a simmer, stirring continuously and pressing on the berries to help breakdown for about 10 minutes or until thick enough to coat the back of a spoon. Take off heat and cool for 5 minutes. 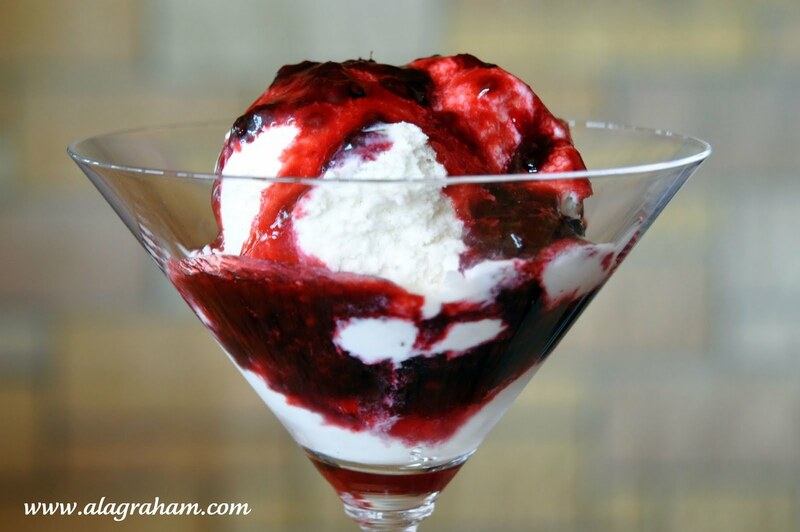 Add the Crème de cassis and cool to room temperature. Store in fridge. Makes about 2 cups of sauce. Keep refrigerated for up to a week or freeze for up to 4 months. Tastes best when cold. I prefer my dessert sauces more "rustic" with seeds and pieces of fruit but I know some people don't, so if you want to remove the seeds from the sauce do so after it has cooled and before you add the Crème de cassis. Use a fine mesh strainer over a bowl and push the sauce through to remove the seeds. The sauce is amazing. Love the color of the dish. Creme de cassis I am a huge fan. Quite healthy. Cheers! It's true blackberry and strawberry are really healthy, (I've just finished to read a post abut it). This is absolutely gorgeous. I just love that color. I love all red fruits but blackberry are my favourites!! Love your souce! This not only sounds delicious (I adore creme de cassis too!) but it looks so gorgeous. I may have to serve this for dessert at my Mother's day party. Stunning! I just made your sauce to pour over vanilla infused custard. It's wonderfully delicious! Thanks so much for posting this!